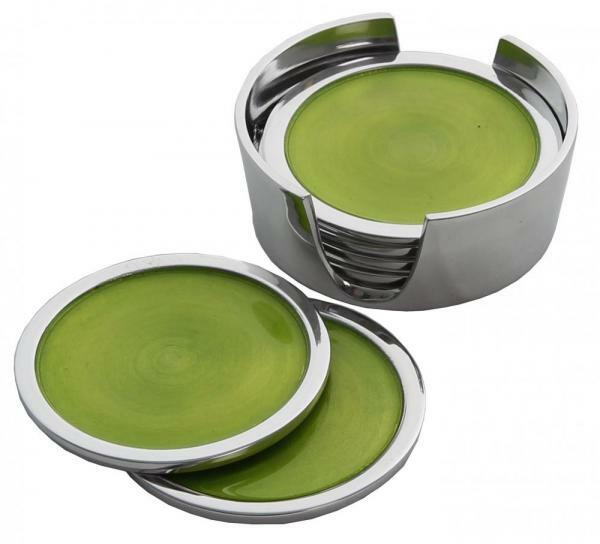 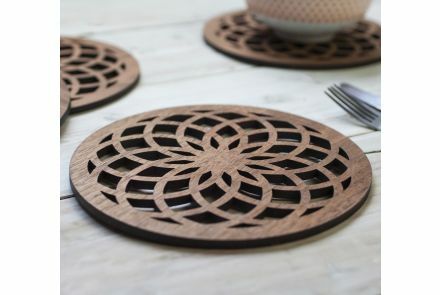 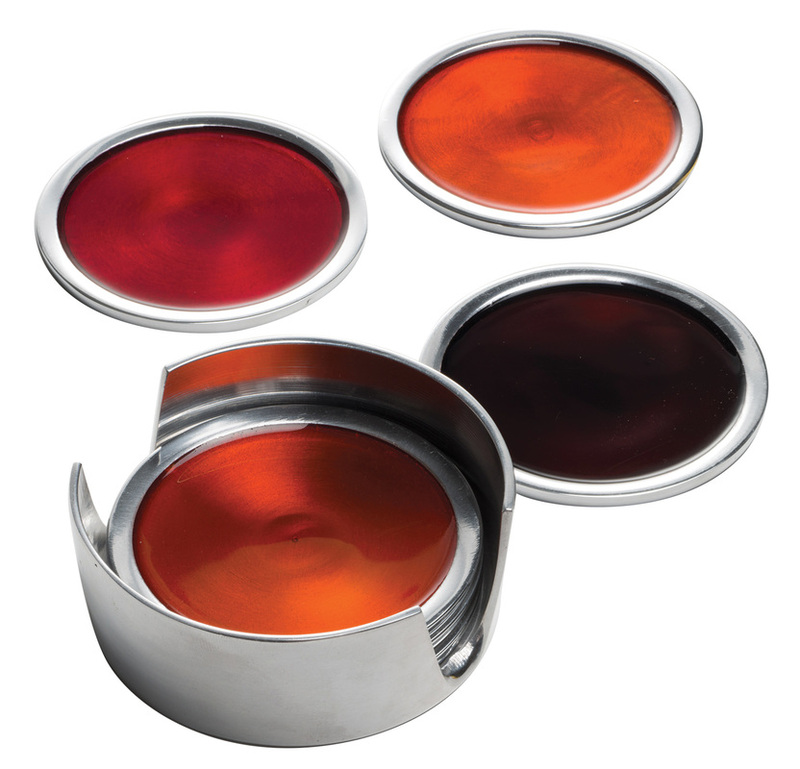 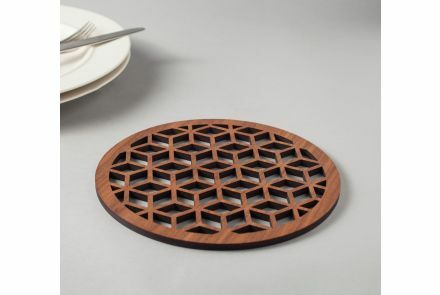 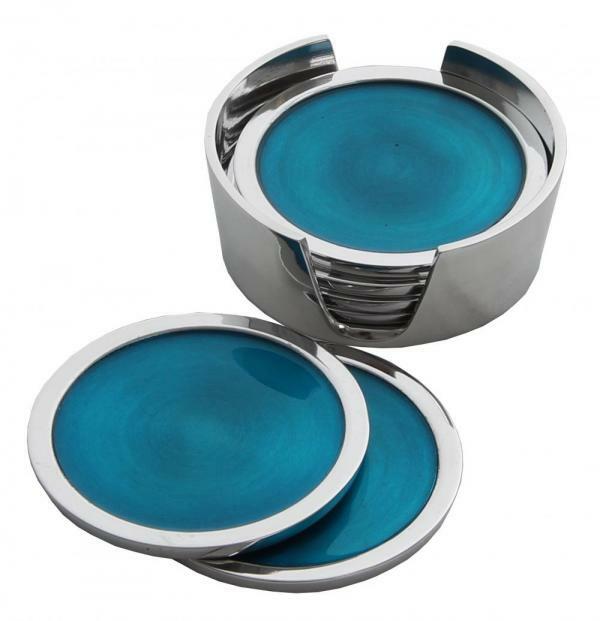 Add a dash of stunning colour your dining area or lounge with this popular set of coasters. 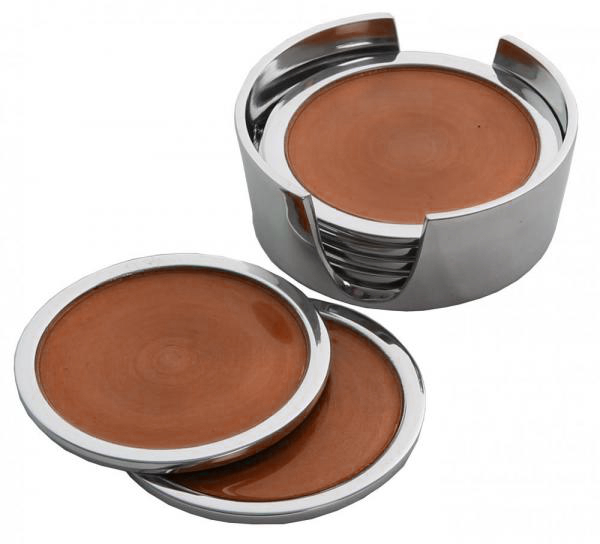 Your set of 6 coasters can be neatly stored in their holder, which has been perfectly designed perfectly for easy removal of the coasters. 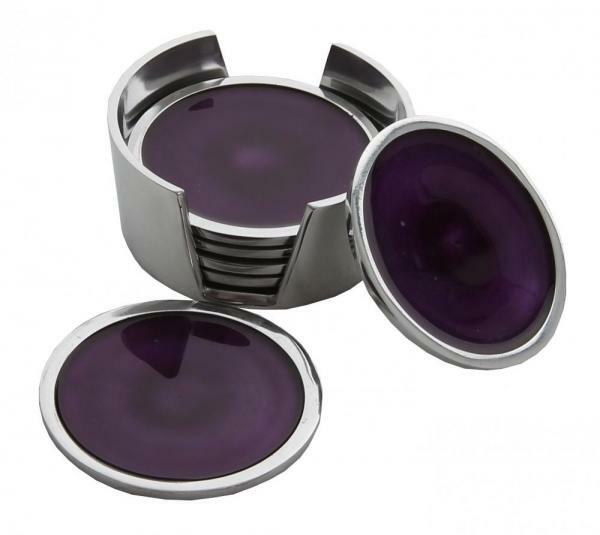 You don't need to worry about them dropping and smashing as their aluminium construction makes them very hard wearing. 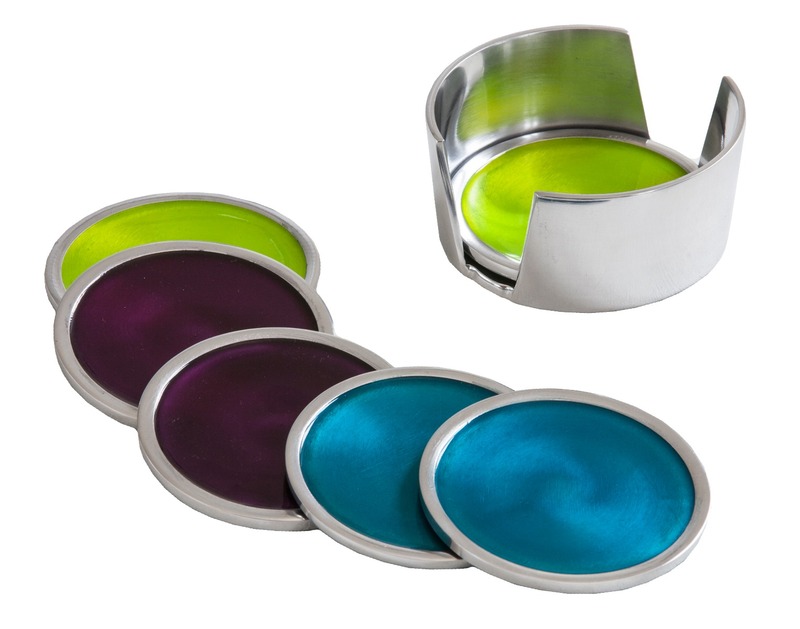 These contemporary coasters are available in seven other colours as well as two mixed sets.